When I lived at home in California, I used to drive everywhere: school, friend’s houses, grocery stores – everywhere. When I am at FUS I walk everywhere, not because I have to, but because I want to. 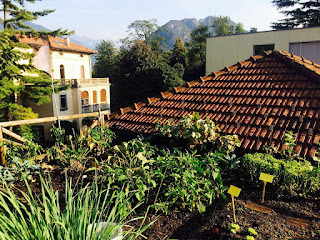 The Lugano hills might seem a bit intimidating at first, but eventually you learn to love them – especially because it means you don’t have to hit the gym as frequently. All of my friends live within a five or ten-minute walk from my door, and the 15 or 20-minute journey downtown goes by quickly with all of the distractingly gorgeous views along the way. When I am too tired to walk, there are a vast array of options in terms of public transportation: the Autopostale bus that runs from campus to downtown Lugano; the FLP train – a tiny regional train that goes between Ponte Tresa and the Lugano train station; the new funicular that takes you between the train station and downtown; or the regional or intercity SBB Swiss trains that run throughout Switzerland and the rest of Europe. 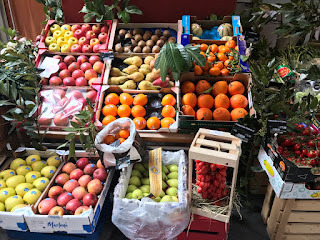 Again, when I lived in California I never thought too much about eating seasonally, because everything was available all the time at approximately the same price; however, in Switzerland I have become much more conscious of this. The amount of fuel and energy it takes to transport berries and such from the Southern Hemisphere to Lugano can have a huge impact! In all of the main grocery stores in Lugano (Migros, Coop, and Manor), it is easy to notice what it in season because it is abundantly available and affordable. 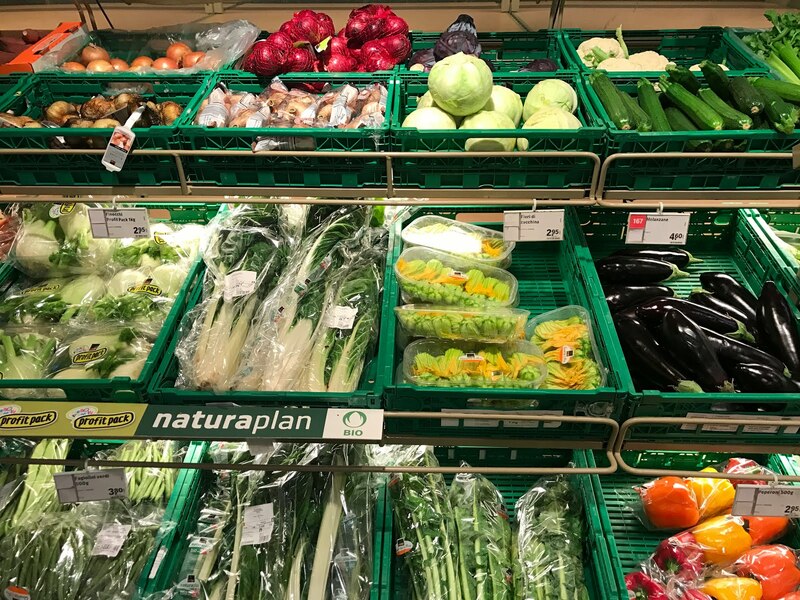 Sometimes when certain items are in season, restaurants in Lugano will dedicate a whole special menu to them – this is the case for mushrooms, asparagus, and pumpkin. Also, when I go grocery shopping I make sure to bring lots of reusable bags, because otherwise I would have to pay for a new one. I usually bring a big backpack when I go to the grocery store, but sometimes when my roommates and I are trying to stock up we will even bring a suitcase to make it easier. As someone who grew up in the extreme consumer society that is the United States, I have learned to shop less and love it. European style is much different than that of other parts of the world – it is all about simplicity. You don’t need to have a million items of clothing, you just need to have a few high-quality items that you can mix and match. It is all about “basics,” which is something that was difficult for me to accept as I come from the land of color and tie-dye. Accepting this style helped me to cut down on the least sustainable aspect of my lifestyle: shopping. Clothing and accessory production are highly water and energy intensive, and it is important that we do our parts and shop less frequently, and even locally or secondhand when possible. 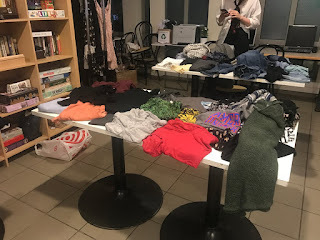 Franklin even has opportunities for students to trade clothes with each other at the Franklin Sustainability Club’s “Clothing Swaps.” Students can bring in clothes and accessories that don’t fit, don’t match their new Euro style, or that they’re just tired of. These then get exchanged so that they can find a new, loving home. If items are not recirculated within the Franklin community, they are donated to Caritas – an organization that assists in various matters, such as the fight against poverty, asylum and migration, family placement, disaster relief, and more. Recycling in Switzerland may seem overwhelming at first, but once you learn the ins and outs you begin to appreciate the methodical order of the process. The main recyclables here are PET plastics, glass, aluminum, and paper/cardboard. PET plastics should be compressed then thrown into a PET bin, which are available on both campuses, or in each dorm residence; glass can be thrown away at the Grotto (the cafeteria on the Kaletsch Campus) or at the Giardino dorm residence (located above and around the delicious Giardino Pizzeria and Restaurant); aluminum can also be crushed and disposed of at the Grotto; and paper/cardboard should be placed outside of the dorms, near the road, on the first Thursday of every month – the paper/cardboard should not have any wax, staples, tape, food waste, etc. on it! If you have any clothing, fabrics, bedding or other items of that nature to get rid of, you can put them in the Caritas bin – located at the Sorengo Laghetto FLP train station (directly behind the FUS campus). Caritas will then take these items, and donate them to people in need. 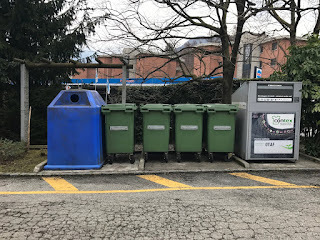 Another fun recycling tradition in Lugano is affectionately known to Franklin students as “Trash Day,” which happens once per semester. 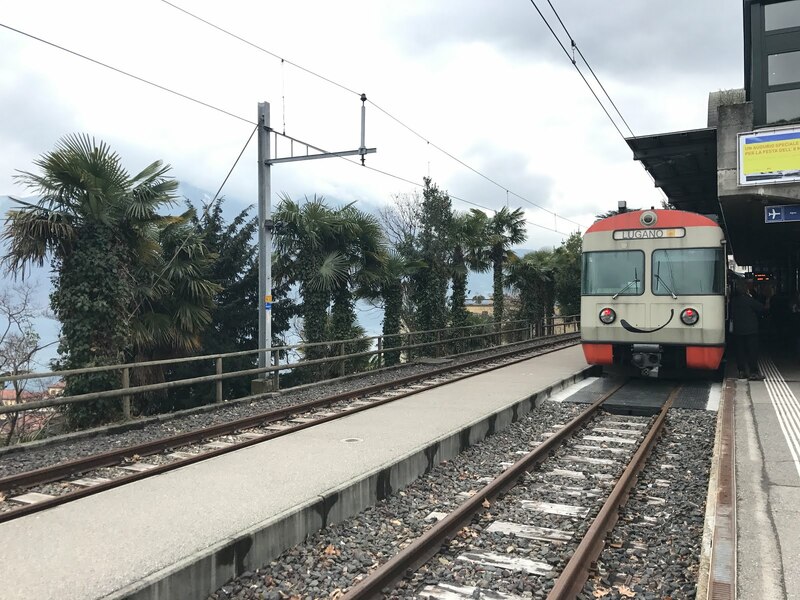 On Trash Day, the residents of Lugano put everything that they do not want outside of their homes to be collected by either the local trash service or other community members that view their trash as treasure. It is possible to find items such as pots/pans, vacuums, furniture, exercise machines, and even ping-pong tables. You may be wondering “…but what about compost?” Don’t worry, there’s a place for that too! The designated Franklin compost is located directly above North Campus on the path to the Franklin garden, so if you are into composting (which you should be) you can collect food scraps in your dorm room and carry them over to the compost on your way to class! 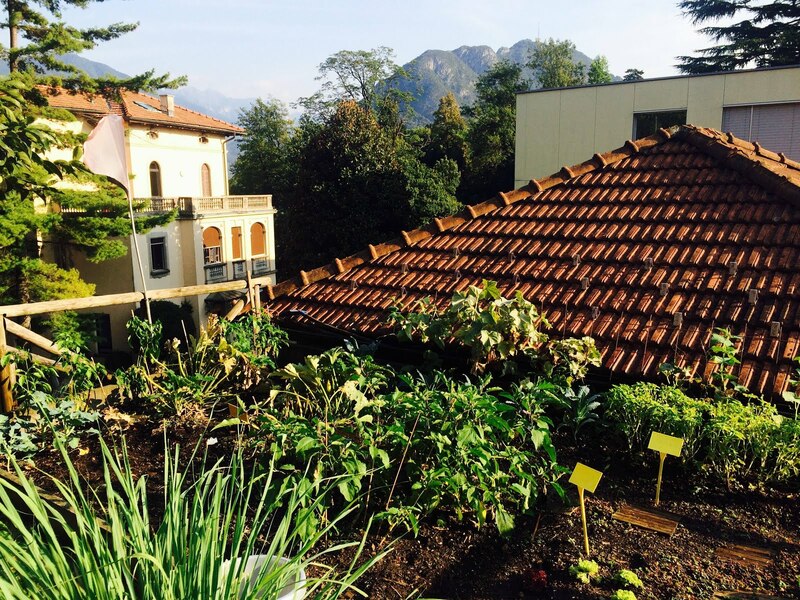 What do you grow in the FUS garden? What is in the garden right now? What is something you want everyone to know about the garden? What is your favorite season in the garden? What is your favorite thing about the garden, and what has it taught you? 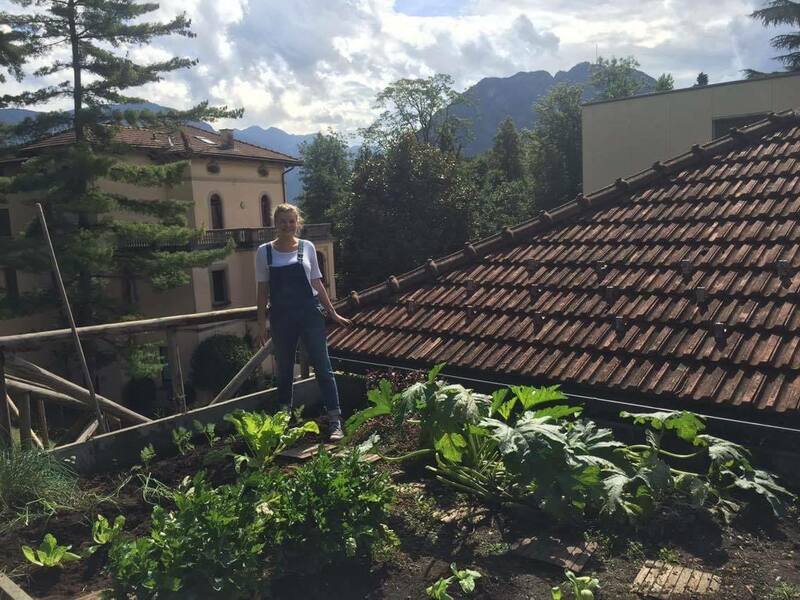 What is the FUS garden planning for the future?